It took some time for the Dutch bishops to comment on what I have seen being called ‘the summer of scandal’: the revelation of past abuse and cover-ups in dioceses in Pennsylvania, accusations of similar cover-ups as far as the Vatican and the pope himself, and the silence that remains a too-frequently employed answer. Of course, as none of the developments involves the Catholic Church in the Netherlands in particular, and considering that we have been through a coupe of years of revelations and their fallout in recent years, it is in some way understandable that the bishops have kept their silence. After all, what else could they say that they haven’t been saying already? On the other hand, the abuse and accusations have been making headlines, also in Dutch media, and as Pope Francis remains highly popular inside and outside the Church, faithful in the Netherlands have been looking for answers and explanations, even if they are the same as those given a coupe of years ago. Bishop Hendriks continues by emphasising that recent investigations in both the Netherlands and the United States have revealed few abuse cases from recent years. Most were committed decades ago. This, the bishop says, could be due to improved procedures to fight abuse and help victims in the Church. He also adds that, in his experience, the reactions to accusations of abuse are sometimes exaggerated, leading to acceptance of accusations which turn out to not always be true. “Personally, I see an advantage in clear procedures – also for the judging of abuse of office by bishops – which can establish a proper and public jurisprudence. A bishop who systematically fails to uphold celibacy, can not remain in office. How else can he proclaim the ‘Gospel of the family’? In his final letter for Advent, Bishop Frans Wiertz, until last week bishop of Roermond, looks back on his almost 25 years at the helm of the southernmost diocese of the Netherlands. The letter will be read out in churches throughout the diocese this weekend. ^Bishop Wiertz, front row centre, is pictured with priests and seminarians of the Diocese of Roermond at Rolduc, yesterday. In this final meeting with them, he urged them to be missionary and to listen to people. On Saturday 2 December I celebrated my 75th birthday. On that day, as requested, Pope Francis has allowed me to retire as bishop of Roermond. I bade my farewells over this weekend and entered retirement. The pope will appoint a new bishop for our diocese in some time. You can imagine that I have been thinking a lot over the past months about the almost 25 years that I was your bishop. I especially recall the many visits to parishes, during which the confirmations have always been especially impressive. On one of those occasions a confirmand once asked me, “Do you like being a bishop?” To which I gladly answered ‘yes’. No one applies for being a bishop. It appears on your path. When it became clear it would also be asked of me, it was rather frightening. “Can I do this? Is there no one better?” But when Pope John Paul II indicated that he wanted to appoint me, I said ‘yes’ with all my heart. I was confident that things would turn out fine. I took that confidence in the first place, of course, from Christ, who called me to this office. When He places something on your path, He will also help you to fulfill the mission. Did He also not help the Apostles to fulfill their mission? “As the Father has sent me, so I send you,” He reminded His disciples. But I also feel the support of a number of saints. In the first place Saint Francis de Sales, my patron saint. From him comes the quote, “God is God of the human heart”. With these simple words he drew a link between God and man. He loved people and was united to them. From an inner faith, Francis de Sales could pass on God’s love. I also tried to do so. There are two others saints who have shown me my way as bishop: Saint Servatius and Saint Willibrord. Upon the grave of the first in Maastricht we built the Basilica of St. Servatius. This holy Armenian came to our parts in the fourth century to proclaim here the faith in the triune God. He was later followed by Willibrord, who came from Ireland. These saints, who came from far to proclaim the faith in our country, made me aware that we belong to a world church. Within that greater body of the world church, local faith communities can help and support each other in difficult times. That is why I made mission trips to various countries. I was able to visit flourishing churches there, and I was a guest in churches who exist under the cross, but where the faithful fire of the people touched me deeply. Just like Servatius and Willibrord came to us, I went from here to other countries. I asked for priests there, who will make sure the God’s voice does not fall silent and that the holy sacraments will continue to be celebrated in the future. I am exceedingly grateful that, at this moment, 45 young men from various countries are studying for the priesthood at Rolduc. With our own priests from Limburg that can create the link between people and God and God and people in the future. Their enthousiasm and honest inspiration fill me with great joy. Finally, in the years that I was your bishop, I always knew I was supported by Our Lady, who we invoke here in Limburg with the title ‘Star of the Sea’. She is connected to the Diocese of Roermond in a special way. Her statue in Maastricht draws a continuous stream of people, who light a candle before her and pray a couple of Hail Marys. Like at the wedding at Cana, Mary has always whispered to me, “Do as Jesus tells you to.” I listened to His word every day in the liturgy and I let myself by nourished by Him every day in the holy Eucharist. I also gladly celebrated the other sacraments and so continued Jesus’ work of salvation for us. “Do as Jesus tells you to”. That was the way I was shown at my ordination as priest and bishop. The person of Jesus and what He does for people was always the guiding principle in the difficult questions which appeared on my path. That is why I am so saddened by the fact to so many people have given up their membership of our Church. I want to say to them, that they have not been written off and that the Church knows that, in many cases, she is party to their decision. But I also hope for many to return. The door is always open. Mary also always inspired me to pray to the Holy Spirit, as we read in the Acts of the Apostles.When the disciples flee every which way after Good Friday, it is Mary who calls them back together and says, “Let us pray! Let us pray to the Holy Spirit!” At Pentecost the Apostles receive the courage to go out to all parts of the world. They can no longer remain silent. A missionary Church is born. As members of that missionary Church we are in this Advent on our way to Christmas. In a few weeks we will celebrate that we were introduced, through Mary, to the Son of God. It was she who brought the world into contact with Jesus. Seen like this, Mary was the first missionary. I would like to urge you to be missionary with here and spread God’s love throughout the world. “Do you like being a bishop”? the confirmand asked. In response I can say that I have gladly been your bishop. And also that I have been a happy bishop because of that. Through the inspiration of Jesus, His mother Mary and the other saints. As bishop emeritus, because of my increasing physical limitations, I can no longer be active. Just like many religious become contemplative when they grow older, I will also remain united in prayer with you and the Lord, who entrusted me with the office of bishop almost 25 years ago. Let us pray to the Holy Spirit for love and faith. And while the new bishop was looking forward to returning to the “ground work”, so to speak, of pastoral care in a parish, that is exactly what he is looking forward to in his new position as auxiliary bishop: meeting the people, Confirmations, pastoral visits, which he was less able to do in his time at the seminary. Born in Munich in 1967, raised in Nürnberg. Entered seminary in Bamberg in 1986. 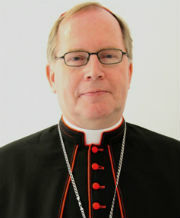 Studied in Bamberg and Innsbruck, followed by his ordination in 1993. 1993-1997: Priest in the parish of St. Hedwig in Bayreuth. 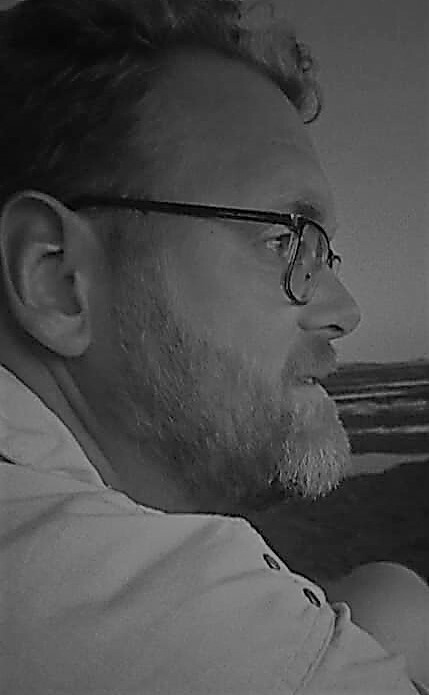 1997-2007: Parish priest in Hannberg and Weisendorf, where he became very popular. 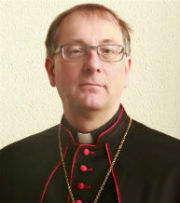 2007: Appointed as vice regent to the seminary in Bamberg, followed in 2008 by a similar function in Würzburg, where he moved. Since both dioceses work closely together in the formation of their priests, Fr. Gössl combined his duties for both until this year. Fr. Gössl has for year been a member of the Feuerstein Konferenz, an ecumenical meeting place for Catholics, Evangelicals and Anglicans. Bishop-elect Gössl’s consecration date has not yet been decided upon, but will have to take place no less than three months from today. 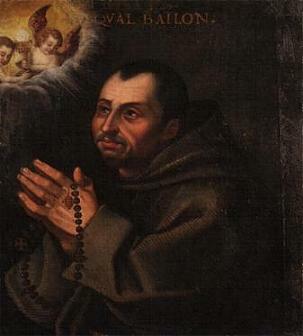 He has been assigned the titular see of Balecium, located in Albania, and held until last November by Bishop (now Archbishop) Franz Lackner of Salzburg. The Message is quite Franciscan in its content, repeating some of the things he has stated before and containing a clearly-worded challenge for all involved in the media in general, but specifically in Catholic media. The dialogue needs to be the next step to take as Catholic communicators. Of course, there will be some who will take Pope Francis’ words in exactly the way he tells us not to: as if we should not hold on to the truths of the faith in our relations and communication with others. But this truth does not always necessarily coincide with our own ideas and desires. It is good to try and make that distinction. Read the full Message via the link above or in my Dutch translation. All in all, a worthwhile read (also in Dutch), offering proper food for thought for all of us. We all communicate, after all. Today is the feast day of Saint Francis de Sales, the Renaissance bishop, author and Doctor of the Church who is also patron saint of the Catholic press, writers and journalists. A good prayer intention for today would be for unbiased and complete media reporting, free from ignorance, and full of honesty, charity and love for the neighbour. St. Francis, ora pro nobis! In his message for the 45th World Communications Day, released today, Pope Benedict XVI stresses the importance of a Christian presence on the digital world. He explains what that constitutes: it is more than a religious content being communicated, but an attitude, a way of behaving towards others on the web. He also stresses the importance of responsibility and truth; especially the latter should not be subject to popularity, but deserves nothing less than an integral and honest communication. I am pleasantly surprised to see such a positive message from the Holy Father; in some circles it was feared that this message would be predominantly negative about social media and the use of it by Catholics, especially young people. But it is not. Like so many things, the pope presents this too as a challenge that we are called to rise up to. World Communication Day is on 5 June, but papal messages tend to be released on significant dates well before that. In this case, on the feast day of Saint Francis de Sales, patron of the Catholic press, educators, writers and journalists. Read the original text here and my Dutch translation here.